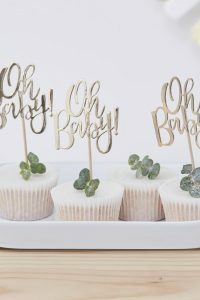 A Baby Shower game is always the best way to get the party started. 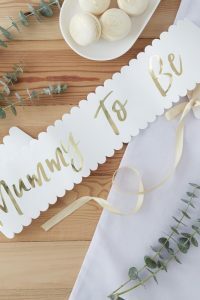 Sometimes we can have lots of people at the Shower from different parts of the Mummy To Be’s life and a few games gets everyone chatting. 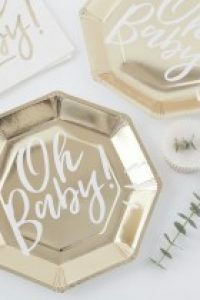 The Baby Tray Game is a great game to break the ice at a Baby Shower and so easy to play! Put lots of baby items on a tray. Walk around the room with the tray in your hand. Each guest gets to look at the tray for 2 minutes. Now leave the room after everybody has a chance to look at the tray & each person will try to write down all the items that were on the tray. Each guest gets 1 point for each correct answer and the guest who identifies the most correct items wins a prize!